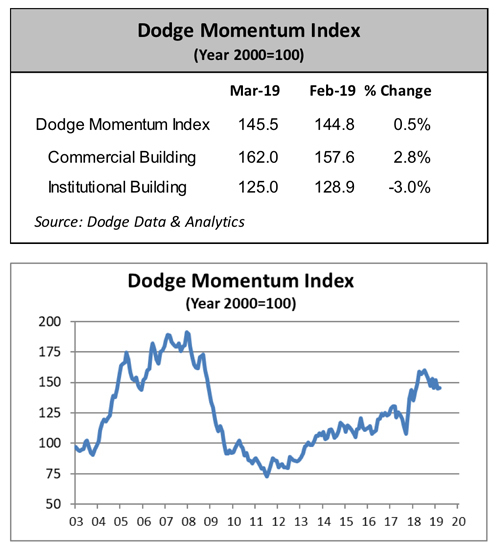 NEW YORK – April 5, 2019 – The Dodge Momentum Index increased 0.5% in March to 145.5 (2000=100) from the revised February reading of 144.8. 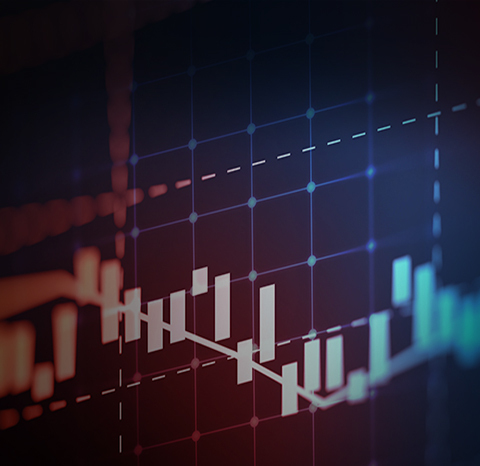 The Momentum Index, issued by Dodge Data & Analytics, is a monthly measure of the first (or initial) report for nonresidential building projects in planning, which have been shown to lead construction spending for nonresidential buildings by a full year. The March uptick was due to a 2.8% increase in the commercial component of the Momentum Index, while the institutional component fell 3.0%.